Like many bands who don’t reach the heights that their music deserves, the story of Zephyr is one of what might have been. They released a trio of albums between 1969 and 1972, which nowadays, have a cult following including Zephyr, Back To Colorado and Sunset Ride. These two albums feature one of the best bands you’ve never heard. Their story began in 1969. 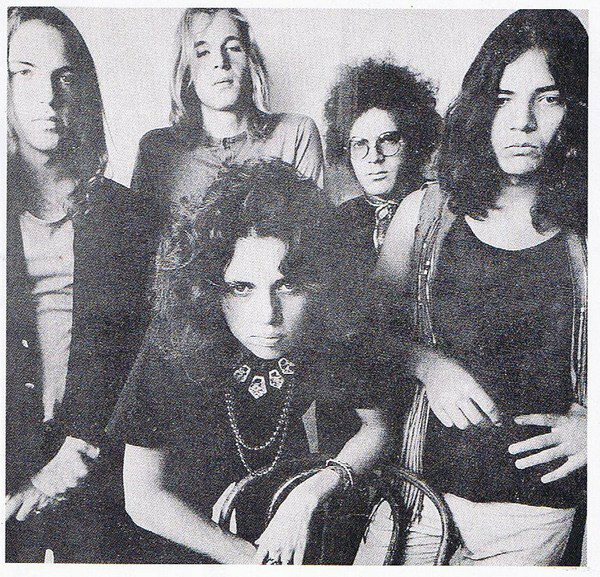 That was when Zephyr formed in Boulder, Colorado by eighteen year old guitarist Tommy Bolin, keyboardist John Faris, drummer Robbie Chamberlin, bassist David Givens and his wife Candy Givens, who became the lead vocalist and harmonica player. They were all talented musicians who shared a love of music. Their talent and love of music shawn through as they began to play live. By then, the nascent band, had been named Zephyr, purely because the it “sounded ethereal.” Soon, the newly named Zephyr were honing their sound on the Boulder music scene. It was a mixture of blues, jazz and rock. This proved popular, and soon, Zephyr were playing all around Colorado. They had quickly built up loyal following and were already working on their eponymous debut album. Zephyr began work on their debut album not long after the band were formed. It was as if the five members of Zephyr were making up for lost time. They were determined that Zephyr should fulfil its potential. Each member of the band was a talented musician. Although each member of the band came from different musical backgrounds, they had played blues and rock ’n’ roll. That was the commonality that they shared. Some of the members of Zephyr were also budding songwriters. Especially Tommy Bolin, David Givens and his wife Candy Givens, who wrote six of the nine tracks on Zephyr. Tommy Bolin and Candy Givens wrote Sail On and Huna Buna. David Givens penned Boom-Ba-Boom and wrote Cross The River with his wife Candy Givens. They wrote Somebody Listen with John Faris while Hard Chargin’ Woman was credited the five members of Zephyr. The other two tracks on Zephyr were cover versions. This included Dee Clark’s Raindrops and Joe Primrose a.k.a. Irving Mills’ St. James Infirmary Blues. To record their eponymous debut album, Zephyr headed to Los Angeles. Their destination Wally Helder Studios, which was one of L.A.’s top recording studios. It was a far cry from the basement of Cindy Givens’ parent’s house, where some of the songs had been arranged. Zephyr were going up in the world. Especially since Bill Halverson was about to produce Zephyr. This was a big deal for the Zephyr who were still a relatively new band. They had come a long way in a short space of time. However, they were already a tight band. The rhythm section featured drummer Robbie Chamberlin, bassist David Givens and guitarist Tommy Bolin. John Faris switched between organ, piano and flute, while lead vocalist Candy Givens also played harmonica. 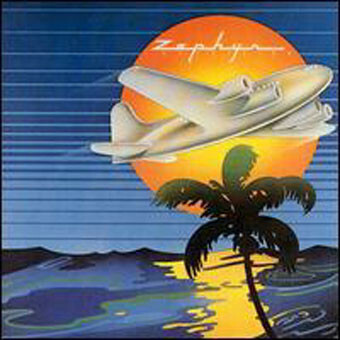 Producer Bill Halverson was tasked with capturing the energy of Zephyr who were a charismatic and versatile band. It wasn’t going to be easy, but Bill Halverson succeeded in doing so. Later in 1969, Zephyr was released on the Probe label, which was an imprint of ABC Records. The album received plaudits and praise upon its release. Praise was heaped on lead vocalist Candy Givens and virtuosos guitarist Tommy Bolin. They were regarded as key to the sound and success of Zephyr as they switched between musical genres. Almost seamlessly, Zephyr switched from blues to rock ’n’ roll and sometimes, became a jam band. Regardless of which style Zephyr played, their energy, enthusiasm and charisma shawn through. It seemed that Zephyr had been influenced by MC5, Ram Jam, Iron Butterly and even Cream, Led Zeppelin, Janis Joplin and John Mayall and The Blues Breakers. All these influences shown through on Zephyr, which should’ve found a much wider audience. 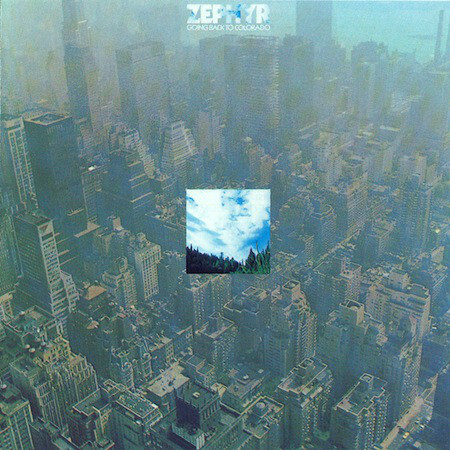 Upon its release later in 1969, Zephyr wasn’t a hugely successful album. It sold reasonably well in Boulder and across Colorado. However, it failed to find an audience further afield. Considering Zephyr had only been together less than a year, and it was only their debut album, they were well ahead of the musical curve. It wasn’t until late 1970 that Zephyr began work on their sophomore album Back To Colorado. By then, Zephyr had moved from Probe to Warner Bros. Zephyr it seemed, were going up in the world. However, this wasn’t the only thing that had changed. Zephyr’s lineup had changed. Robbie Chamberlin, Zephyr’s original drummer had left and been replaced by Bobby Berge. This was the first of several changes in Zephyr’s lineup. What hadn’t changed, was that most of the songs on Back To Colorado had been written by members of Zephyr. This included David and Candy Givens. They wrote Miss Libertine; while David Givens penned Night Fades Softly and The Radio Song and Candy Givens contributed At This Very Moment. She also wrote Going Back To Colorado with John Tesar and Tommy Bolin. The John Tesar and Tommy Bolin songwriting partnership wrote Keep Me and I’ll Be Right There. Tommy Bolin who seemed to be blossoming as a songwriter, also penned and Showbizzy. These ten tracks would become Back To Colorado, which was recorded in late 1970. For the recording of Zephyr’s Warner Bros debut, Electric Ladyland Studios, in New York was booked. It was one of the Big Apple’s top studios, and where many classic albums had been recorded. Producing Zephyr’s sophomore album Back To Colorado was Edward H. Kramer, who took a hands on approach to recording an album. When recording of Back To Colorado began, the rhythm section now featured new drummer Bobby Berge, bassist David Givens and Tommy Bolin who played all the guitar parts and vibraphone. Zephyr’s multi-instrumentalist John Faris, played organ, piano, flute, soprano saxophone and sung the lead vocal on Take Me Love. Candy Givens took charge of eight of the nine remaining lead vocals and played harmonica. Augmenting Zephyr were backing vocalists; Buzzy Linhart who added the lead vocal on The Radio Song and Paul Conley who played a Moog synth. Producer Edward H. Kramer played piano, clarinet and percussion on Back To Colorado, where he helped Zephyr reinvent themselves musically. Eventually, Back To Colorado was completed, and was released in 1971. Before the release of Back To Colorado, critics received a copy of the album. They discovered a quite different album from Zephyr. Back To Colorado had a much more experimental sound, and found Zephyr move away from the blues rock and jams that peppered their eponymous debut album. The only time the blues rock sound featured, was on the title-track and Showbizzy. For the rest of Back To Colorado, Zephyr move towards a Southern Californian sound. Most of music has a much more mellow and laid back folk-rock sound. Occasionally jazz and psychedelia can be heard Back To Colorado. Mostly, though, there’s a late-sixties influence throughout Back To Colorado. This harks back to the hippy era, when peace, love, understanding and revolution were the order of the day. That is still the case on Back To Colorado, as Zephyr rekindle the spirit of the sixties. Especially on Miss Libertine and See My People Come Together where Tommy Bolin unleashes one of his finest solos. Despite his guitar not featuring as prominently on Back To Colorado, he still plays a starring role throughout Back To Colorado. So does vocalist Candy Givens, despite some of her vocals attracting criticism back in 1971. Forty-six years later, and some of the criticism seems somewhat unjust. On Back To Colorado, Candy Givens showcases her talent and versatility. Sometimes, she draws inspiration from, and seems determined to channel the spirit of Janis Joplin. Other times, she eschews power and different side of Candy Givens can be heard. Proof of that is Candy’s vocals on Keep Me, I’ll Be Right Here and At This Very Moment. They range from tender, sultry, powerful, soulful, impassioned and earnest. Cindy Givens had the ability to breath left, meaning and emotion into lyrics. This she did a number of times on Back To Colorado, which was released later in 1971. When Back To Colorado was released in 1971, the reviews were mixed. There was no consensus amongst critics. Some liked Zephyr’s new sound, while others preferred the their eponymous debut album. It was a similar case with record buyers, with some embracing their new sound and others preferring their debut album. As a result, Back To Colorado failed to chart, which was a huge disappointment for Zephyr. One member of Zephyr decided to call time on his career with Zephyr. Twenty year old Tommy Bolin left Zephyr, leaving the band without a guitarist. David Givens found his replacement in Jock Bartlett, who was a member The Children, who often supported Zephyr. He would make his debut Sunset Rise. When work began on Zephyr’s third album, Sunset Ride, there had further changes to the band’s lineup. Drummer Bobby Berge left after just one album, and was replaced by P.M. Wooten. John Alfonse was brought onboard to play congas. However, the biggest loss was multi-instrumentalist John Faris. He played keyboards, flute and saxophone and had played a part in the songwriting process. Replacing John Faris, was Dan Smyth who played organ and piano. It was a very different lineup of Zephyr that began work on Sunset Ride. Only Candy and David Givens remained from the original five members of Zephyr. The changes in the lineup left a void when it came to writing Sunset Ride. Especially the departure of Tommy Bolin, who was one of Zephyr’s principal songwriters. For Sunset Ride, Candy and David Givens wrote the most of the album. They wrote I’m Not Surprised and Someone To Chew Together. David Givens penned No Time Lonesome, Moving Too Fast and wrote Sold My Heart with Jock Bartley. Cindy Givens contributed Sierra Cowgirl and Sunset Ride and joined with A. Armstrong and Jock Bartley to write Winter Always Finds Me. New recruit Dan Smyth made his songwriting debut when he wrote Chasing Clouds. The other track on Sunset Ride was a cover of Billy Edd Wheeler’s High Flying Bird. These ten tracks would become Sunset Ride. When Zephyr began recording Sunset Ride, there was no sign of Edward H. Kramer. Instead, David Givens and Zephyr produced Sunset Ride. It marked the debut on the third lineup of Zephyr. The rhythm section was changed beyond recognition, with drummer P.M. Wooten joined bassist David Givens who played acoustic guitar on Someone To Chew and sung on No Time Lonesome. The third member of the rhythm section was guitarist Jock Bartlett, whose vocals feature on Sold My Heart and Winter Always Finds Me. The other two newcomers were organist and pianist Dan Smyth and conga player John Alfonse congas. Candy Givens took charge of the lead vocals, played harmonica and piano on I’m Not Surprised, Sierra Cowgirl and Sunset Ride. Augmenting Zephyr was violinist Bobby Notkoff, who featured on No Time Lonesome. This new lineup of Zephyr decided to combined the old and new on Sunset Ride. Once Sunset Ride was completed, Warner Bros. sent copies of Zephyr’s third album to music critics. They discovered a very different album Back To Colorado. Zephyr returned to the sound of their eponymous debut album. There were two difference though. The first was that Tommy Bolin’s flashy guitar licks were missing. As a result, Candy Givens wasn’t tempted to compete with them. She reigned in the power and delivers much more restrained vocals than featured on Zephyr. Candy also seems to relish the opportunity to showcase her versatility which began to blossom on Back To Colorado. Sunset Ride was a new start for Zephyr. They begin with blues rock of I Am Not Surprised where Candy delivers a much more restrained, but just as effective vocal. That is the case on Someone To Chew and High Flying Bird. Boulder born guitarist Jock Bartlett eschews the flashy solos of Tommy Bolin, and in doing so, leaves more room for Candy’s vocal. No longer is she competing with the guitar. Soon though, it’s all change. Time Lonesome showcases a much more mellow, but wistful sound. Moving Too Fast has a rockier sound, while Candy delivers a sultry vocal and plays blues harmonica. Sold My Heart is an understated, acoustic song which shows a totally different side to Zephyr. On Sierra Cowgirl, Candy’s filmic lyrics conjure up pictures of the Wild West. Chasing Clouds is a slow, thoughtful song that feature a tender vocal from Candy. Sunset Ride flows melodically and ethereally along as Candy scats above the cascading arrangement. Winter Always Finds Me which closes Sunset Ride is something of a slow burner. Its experimental, genre-melting sound gradually reveals its secrets, and when it does, it’s well worth the wait. Zephyr were back, with what was a return to form. So good was Sunset Ride, that some critics felt it rivalled Zephyr’s eponymous debut album. It was also a more eclectic, but cohesive album. Whether it was blues rock, country, folk rock, pop or rock there was something for most tastes. Alas, when Sunset Ride was released in 1972, the album failed to trouble the charts. History had repeated itself for Zephyr. It was the last straw. Not long after the release of Sunset Ride, Zephyr split-up. They had been together just three years, had three different lineups and released three albums. 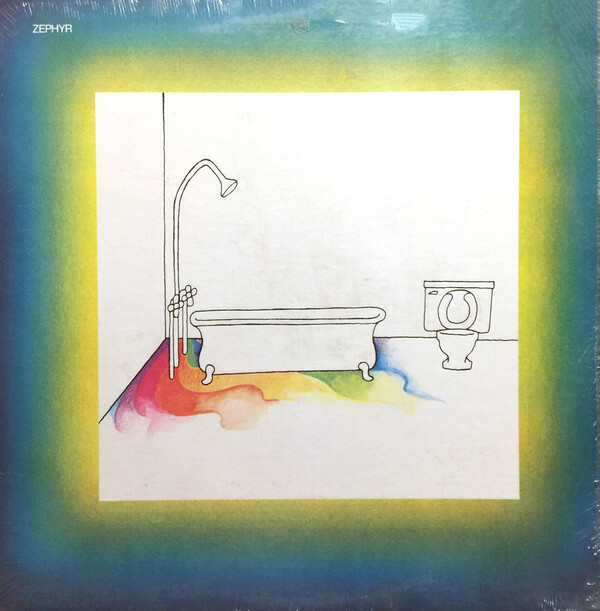 This includes Zephyr, Back To Colorado and their swan-song Sunset Ride, which sees Zephyr’s music develop over the three-year period they were together. Back To Colorado was a much more experimental album, that had been influenced by South Californian music and the hippy ideals of the late sixties. It’s an underrated album that marked the swan-song of guitar virtuoso Tommy Bolin. He and lead vocalist Candy Givens were key to the sound and success of Zephyr. The only problem was Tommy Bolin’s guitar sometimes dominated the arrangements, forcing Candy Givens to complete with the guitars. That wasn’t the case on Back To Colorado, where Tommy Bolin’s guitar was reigned in. After Back To Colorado, he left Zephyr and formed the jazz-rock group Energy. Ironically, Candy Givens continued to blossom. Although many critics remember Candy Givens as someone who unleashed a series of vocal powerhouses, that wasn’t always the case. She was a talented and versatile vocalist, who was capable of switching between different musical genres. She proved this to some extent on Back To Colorado, and blossomed on Sunset Ride. It was the album that could’ve and should’ve transformed the career of Zephyr. Sadly, it wasn’t to be and they spilt-up not long after the release of Sunset Ride. That looked like the end of the road for Zephyr. Ten years later, and Zephyr hit the comeback trail, and released their fourth album Heartbeat in 1982. Sadly, by then one of the founding members of Zephyr had been dead for nearly six years. Virtuoso guitarist Tommy Bolin has died of a drugs on ‘4th’ December 1976, aged just twenty-five. He had played an important part in the Zephyr story. So had Candy Givens, who passed away in 1984. After the death of Candy Givens, Zephyr called it a day for good. Zephyr’s legacy was the four albums they released between 1969 and 1982. This includes Back To Colorado and Sunset Ride, which feature one of the best bands you’ve never heard, Zephyr. ← MIKE CITY-PRESENTS THE FEEL GOOD AGENDA VOLUME 1.